Indeed, we discovered the second-largest concentration of successful infections of this Ethiopian operation are located in Canada. The details of this remarkable clandestine activity are outlined in a new Citizen Lab report published today entitled “Champing at the Cyberbit.” In our report my co-authors and I detail how we monitored the command and control servers used in the campaign and in doing so discovered a public log file that the operators mistakenly left open. That log file provided us with a window, for roughly a year, into the attackers’ activities, infrastructure, and operations. 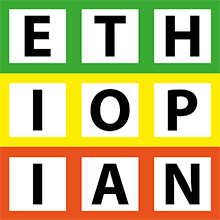 Strong circumstantial evidence points to one or more government agencies in Ethiopia as the responsible party. How big of a problem? Remarkably, by analyzing the command and control servers of the cyber espionage campaign, we were also able to monitor Cyberbit employees as they traveled the world with infected laptops that checked in to those servers, apparently demonstrating Cyberbit’s products to prospective clients. Those clients include the Royal Thai Army, Uzbekistan’s National Security Service, Zambia’s Financial Intelligence Centre, and the Philippine president’s Malacañang Palace. Outlining the human rights abuses associated with those government entities would fill volumes. Remedying this problem will not be easy. It will require legal and policy efforts across multiple jurisdictions and involving governments, civil society, and the private sector. A companion pieceto the report outlines some measures that could hopefully begin that process, including application of relevant criminal laws. If the international community does not act swiftly, journalists, activists, lawyers, and human rights defenders will be increasingly infiltrated and neutralized. It’s time to address the commercial spyware industry for what it has become: one of the most dangerous cyber security problems of our day.